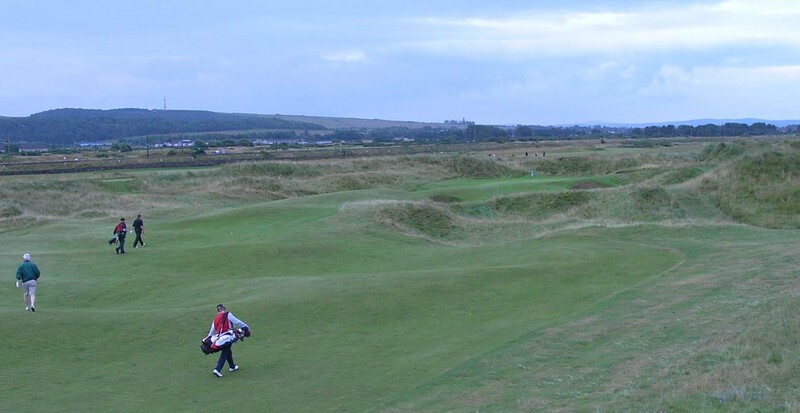 Exceptional, traditional championship links, with an iconic run of nine holes along the beach. Western Gailes is a sociable club of predominantly four-ball play, that naturally expects one of the greatest stretches of golfing country in the world, to be in such good order that there is no need to mention greenkeepers but twice in their delightful centenary history book. to confirm that the course was set-out by their first greenkeeper Mr Morris (no relation to Old Tom), for the twelve businessmen who wanted to get out of the industrial smog (which persisted until 1961) and frost of Glasgow. 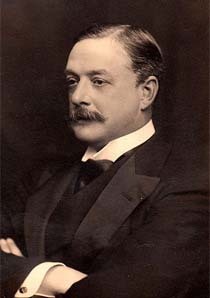 They leased the land from the Duke of Portland to create a club in 1897, seven years after the Glasgow golf club at Killermont had rejected the land for its second course, in favour of where what is now called Gailes Links, on the inland side of the railway line. Gailes Links previously called Glasgow Gailes is close to Dundonald Links, previously sometimes called Southern Gailes prior to Kyle Phillip’s recent upgrade, which in turn abuts Kilmarnock Borassie, each on wonderful draining sandy links terrain with an abundance of whins (gorse) and heather and running along the railway line on the opposite side to Western Gailes, that is in turn bounded on the west side by the line of dunes along the Irvine strand beach. The club maintains a good balance between visitors and members with the course attracting many Americans. The clubhouse is well appointed with an attractive traditional feel. There is a golf shop inside the front door but unusually no professional and more important is the Caddiemaster’s desk. 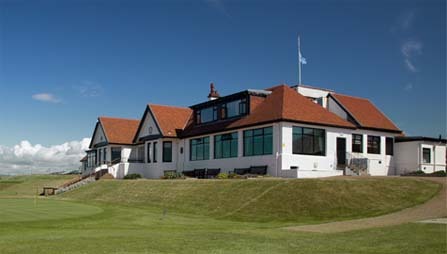 The amateur Ladies equivalent of the Walker Cup, The Curtis Cup was played here in 1972 and women are welcomed on the course though the Club remains like Royal Troon and Prestwick down the coast, to be a male-only members Club. 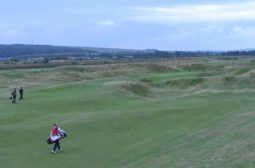 Unlike the Royal and Ancient it has no role in the rules of the wider game and while being among the finest ‘running-game’ courses in the country, does not come under the same pressure as the Open Championship venues to change. The 1930s was a halcyon period for Ayrshire amateur golf and Western Gailes was at the forefront of the Walker Cup and the Home Internationals with the likes of John Craven, Hugh Dickson, Eddie Hamilton, A.Menzies, Jack Mclean, Morty Dykes, Willie Tullock all members among others. The railway was a major influence in the development of golf across the United Kingdom and nowhere was it more crucial than the Ayrshire coast. The 8.40 ‘Golfer’s Train’ from St Enoch station, Glasgow created a camaraderie to not only Western players but also with Bogside, Irvine, Borassie, Troon and Prestwick members as they tumbled off the train at ‘stops’ adjacent to their clubhouses. 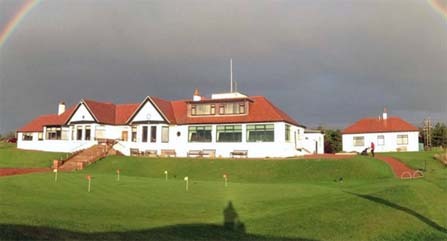 The Club’s relationship with professional golf is more tenuous, although it has hosted tournaments like the 1964 Schweppes before the professionals moved to the new bulldozered international style ‘target courses’ and because of its quality it has regularly acted as host to final qualifying whenever The Open Championship is held at Turnberry or Royal Troon. As an aside, the professional Bernhard Gallagher when trying to qualify for the 1986 Open at Turnberry shot a 65 round Western saying “The fairways were pretty tight so I hit a lot of 1 irons from the tee” A club that his nephew Steve did not have in his bag at the PGA Centenary Gleneagles course recently but one that is certainly an appropriate one to use off at least the first tee here to this day. The other comment on greenkeeping was from 1973 when “following a meeting with Mr Jim Arthur, the R&A’s agronomist, it was agreed to pursue policies which would allow the greens to revert to their natural links state”. 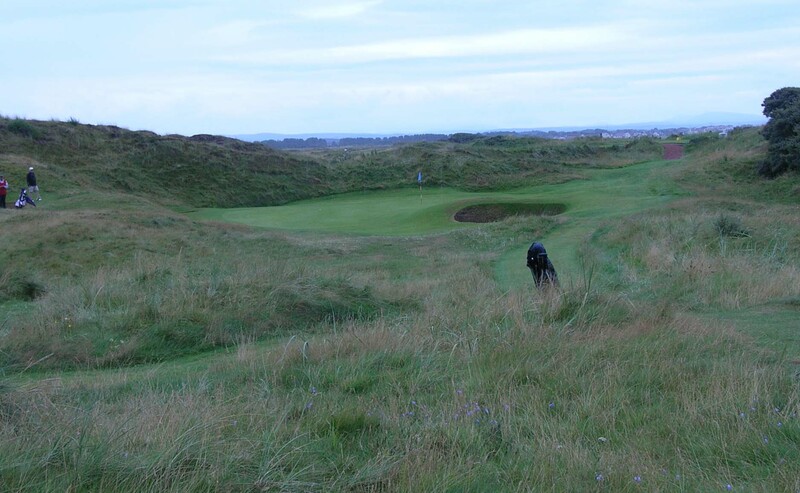 Clearly overwatering and fertilising had allowed the infestation of annual meadow grass (Poa annua) as the beginning of the era of ‘target golf’ was becoming fashionable even on links courses and the greens had become too receptive for the traditional running game. Meeting Jim Devlin the course manager during my visit, he assured me the modern policy was also to pursue fine grasses and the firmness and trueness they give. As with most links courses on this coast that receives more rain than Scotland’s east coast, the balance of grasses is between Browntop bents and Poa rather than red fescue being dominant and in August my ball rolled-out consistently and gave confidence on greens cut between 3.5mm and 4mm. 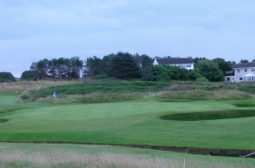 This links course is on classic flat duneland with revetted pot bunkering and tortuous undulations in places along with certain fairways like the 10th and 17th that have been flattened by Second World War tanks on manoeuvres. Actually Western was fortunate in this regard in comparison with some other courses like Turnberry that became an RAF concreted aerodrome. The only major design change to the course apart from being extended from the original 6,000 yards to the now 7,000 yards, (par 71, SSS 75) was when the town of Irvine negotiated a swop of land and the third, fourth and fifth holes were redesigned by Fred Hawtree in the 1970s. It is over these holes that a good score needs to made going north from the central clubhouse, as the nine holes five to thirteen turning south are a continuous challenge. 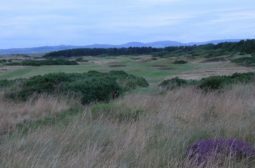 Many of these tees are atop the dune giving glorious views of Arran and the long strand beach and requiring accurate drives to right-hand doglegs. After one’s iron off the first tee (Station) and pitch to an undulating green, the second (Railway), with some similarities to their great seventeenth hole, a left-hand dogleg with the railway encroaching, has a mound protecting a sunken green. The long par four fifth (Bunker’s Hill) with a raised green tending to throw off balls to flanking bunkers is one of the few straight holes. The par five sixth (Lappock – 498 yards) is another of Scotland’s great holes. Played downwind it is possible to be on in two shots but the undulating terrain before, around and on the green must be approached from well on the right. Western only has three par threes and the seventh (Sea) where I hit my best shot of the day, a low drilled long iron (one of Bernard’s!) into a 2/3 club wind, alighting in the middle of the small green at 170 yards, is on the front of the score-card and described in the centenary book as the course’s ‘signature’ hole. I don’t like this modern marketing jargon of ‘signature’ holes, as it is really the long run of holes five to thirteen, battling into the prevailing wind that are the iconic feature to Western, though one must agree the seventh is special. 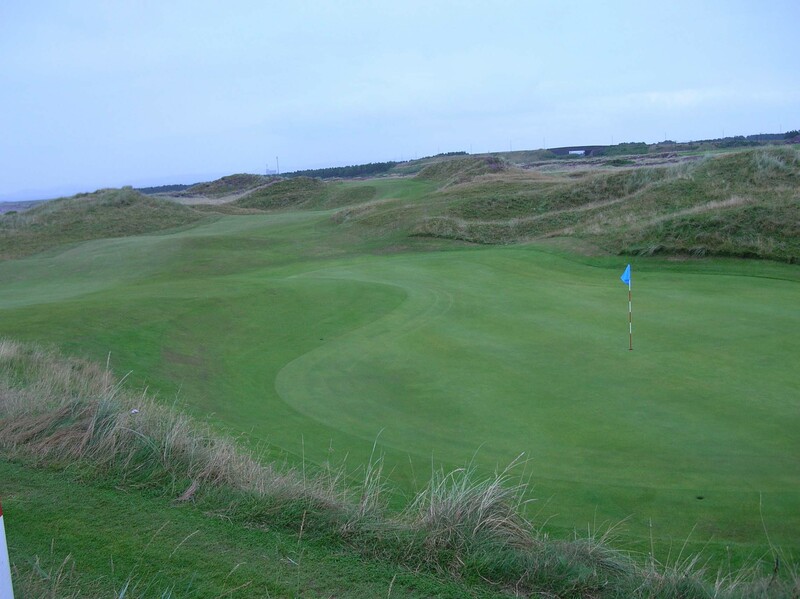 It is played from a high tee atop the dune through a valley to a green nestling in a nook of the dune with complicated and numerous hazards of hollows, bumps and pot bunkers. I shall remember it forever! 8th/10th (Burn/Ailsa) are similar par fours, right-hand doglegs with burns across the front of both greens that rise to the back. The drives are both blind out of the dunes requiring careful judgement of how much of the corner to cut-off. I stupidly lost a ball on each of these drives but will not be the last person to do that! The approach to the eleventh green. We have a short par four ninth (Halfway) with plenty of movement in the ground, before the eleventh (Plateau), one of those wonderful holes with an elevated green parallel to the fairway but seemingly on an adjoining rather than direct line from it. At 440 yards one needs a good drive ideally hugging the right-hand dune but after my two lost balls that was not an option, so I played my second under the green. Luckily with the pin at the back I was able to pitch and run without falling off the back. A hole with lots of options and two well placed greenside bunkers. The twelfth (Dyke) is similar in shape to eleven with a more straight forward green. A heathery knoll on the left is to be avoided on the drive and if long and straight the three bunkers shy of the green and the dyke along the right come less into play. The short par three thirteenth (Barassie) is ringed with bunkers before we turn and head back along the railway with a bit of a sloggy par five (Whins). At the sixteenth (Camp) if one avoids the drive bunkers one is presented with the third medium approach shot in the round over a burn. Actually it is some 30 yards from the front of the putting surface so a club more than it looks is sensible. It was at this hole where an English boy in the Home Internationals this year took off his shoes and socks and donned his waterproofs, playing out of the burn when he was one down. A remarkable up and down saved the hole, after which he won the seventeenth and eighteenth to win his side the Cup! At seventeen (‘Ridge’) one is pushed towards the out of bounds of the railway line by a bunker placed on the corner of the left-hand dogleg by a stalwart of the Club, Leonard I’Anson, when Green Convener in the fifties. This makes the second, a blind shot over a ridge in echelon to the fairway, difficult to judge and this shot needing to avoid the steep bunker middle/right in front of the green. These two bunkers raise this hole from a fine one to a great one. The round is finished by one of the few easier holes (Home) where the right-hand dogleg drive looks more menacing than it is to a large fairway, allowing a running pitch to an undulating green. Western Gailes is true running-game golf that gives a high ‘joy to be alive’ feeling from which-ever quarter the wind strikes. Let’s hope the club continues to support its greenkeeper in pursuing the development of fine grasses and perhaps as others are doing on this coastline overseeding with fescues which will need a cut kept above 4mm. Would it not also be the traditional, sociable thing to do and re-establish a welcome to well-behaved dogs!? 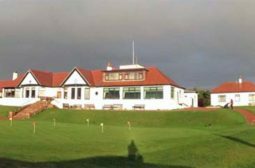 See ‘Western Gailes 1897 – 1997’ edited by Archivist James Hardie. 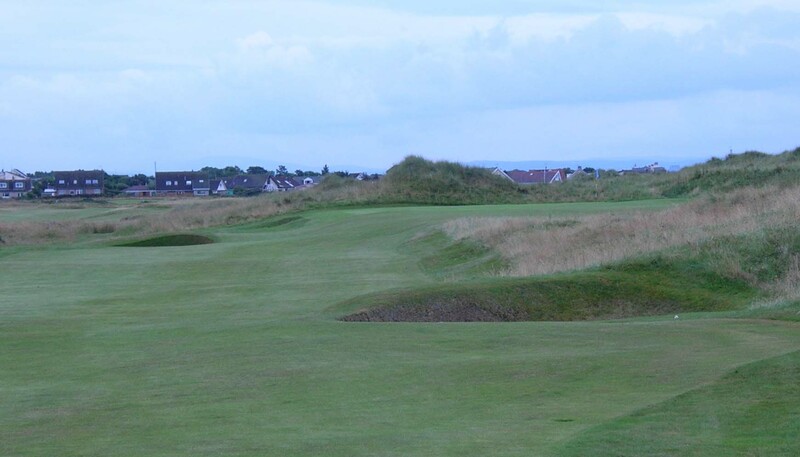 I have had the pleasure of playing at Western Gailes during two different golfing trips to Scotland. First it is the most pleasant experience and I will always remember the way I was treated as a guest as opposed to Troon. I really enjoyed the sense one gets of being close to nature and that god came down and simply put the pins in the correct spots. As I was not at that time familiar with the term ‘running-course’ then, I just knew I enjoyed it and now I know why.